Today 2K Sports has released the sixth title update for basketball video game 'NBA 2K16'. The patch is now available for all PlayStation 4 users and expected to arrive on Xbox One consoles as soon as Microsoft approve it. There is no information yet whether this patch will be also available on Steam for PC gamers. Full patch notes are available below. Tune miss chances for deep down-court and cherry picking. According to 2K gameplay directory Mike Wang, 2016 MVP Stephen Curry also received a boost in his off the dribble shooting and shooting range. This rating boost was added in the game itself and not on a roster file, which means it must be some sort of special attribute only available for Curry. 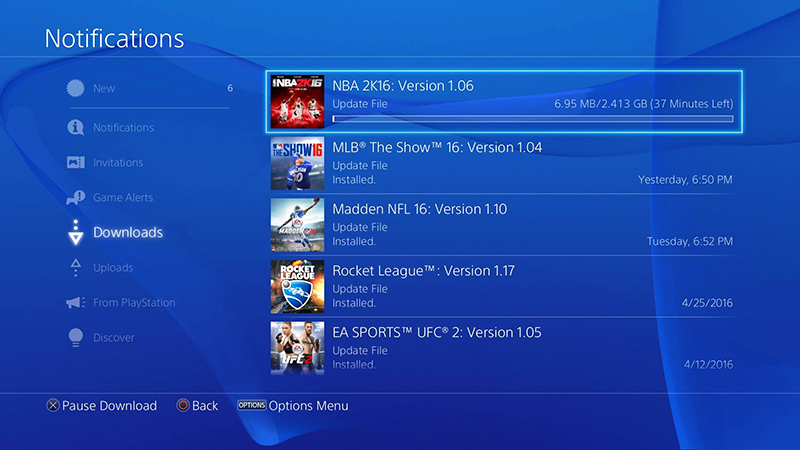 The latest NBA 2K16 patch is about 2.4GB in size.